Girls on Ice Cascades, our flagship expedition, first ran in 1999. 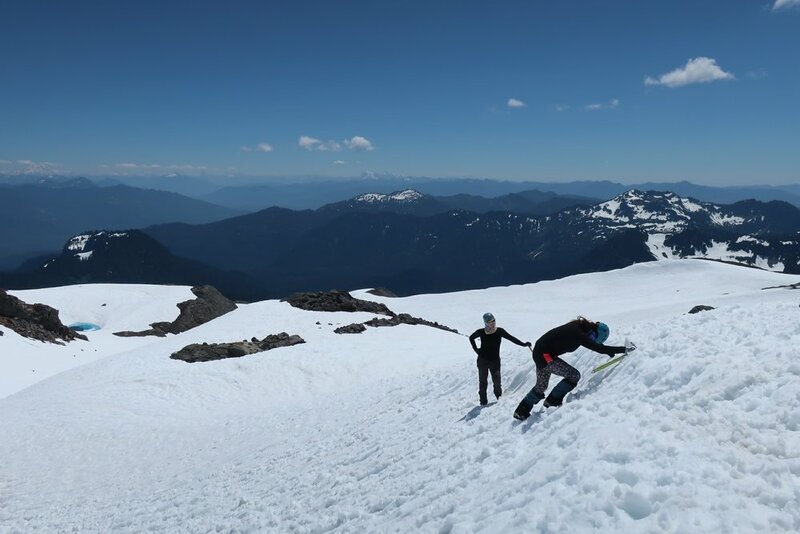 Each year, the team hikes into the North Cascades to design science experiments, practice art, and learn glacier travel skills. 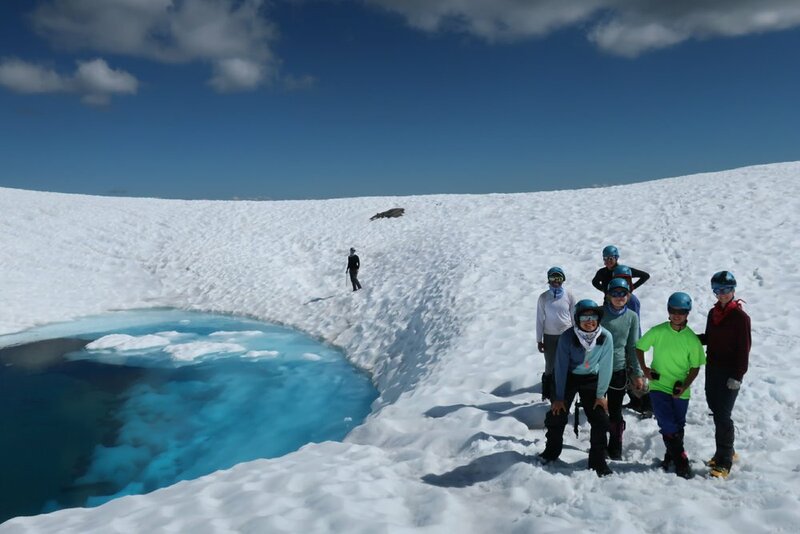 On this expedition, the team camps on a glacier atop a volcano! Day 1: Meet the team, prepare for the expedition, and camp out at a farm near Marblemount, WA. Day 2: Drive to the vicinity of Mt. Baker and get comfortable with pack and boots by enjoying a short day hike. Day 3: Hike to basecamp at 6000 feet on Mt. Baker and set up home for the week. Days 4-9: Explore the glacier and surrounding environment. Develop and test science experiments, practice art, and learn glacier travel skills! Days 10-11: Hike out and travel to the North Cascades Environmental Learning Center in North Cascades National Park. Wrap up science, art, and reflection activities. Deliver public presentations on science experiments and the experiences of the expedition. Girls on Ice Cascades is our longest-running expedition, started in 1999 by Erin Pettit while she was a graduate student in glaciology at the University of Washington. Erin founded Girls on Ice Cascades to share her love of science and the outdoors with young women, and continues to serve as a mentor to our participants. Girls on Ice Cascades has run almost every year since 1999, serving over 150 girls! You must be 16 or 17 on June 1, 2018.